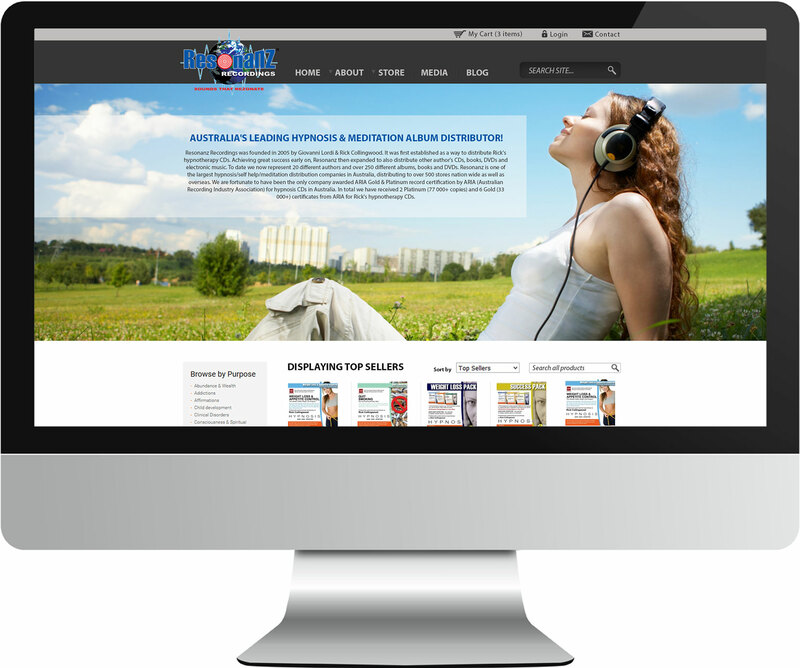 Resonanz Recordings is an Australian meditation, hypnosis & relaxation music CD distributor. For their website we made an easy-to-navigate design to highlight the very large catalog of albums available for sale on the website. It is a large site (over 600 pages), so we were very mindful of the UX (User Experience) aspect for visitors to find what they were looking for easily and quickly. To achieve this we used a multi-level categorical search system as well as highlighting all the different types of products available.